September birthstone sapphire comes in many colors with the blue being more popular. As many other gemstones, quality of a sapphire depends on its color, purity of its hue, depth of tone, and color saturation. Best sapphires contain slight traces of other colors, not on too dark or too light color extremes, and show lot of saturation. Many favor color over other qualities of a sapphire. Most sapphires available in the market are treated to enhance its color. One popular method of treating sapphire stones is heat treatment to enhance its color. However, appraisal of a stone is still based on its color. 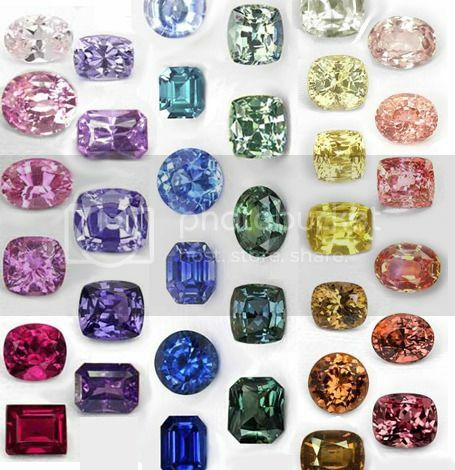 Hues of other colors are also important for sapphires. Sales people use phrases such as “slightly greenish-blue” or “slightly purplish-blue” to explain these color mixtures. The depth of color and tone are also important for a sapphire. Tone ranges from colorless to black. When it comes to gemstones including sapphires, the tone is explained using words such as light, medium-light, medium, medium-dark or dark in that order. Another criterion to evaluate a good sapphire is its saturation. Sometime this aspect also called color purity and it indicates the degree of the gem free from brown or gray hues.